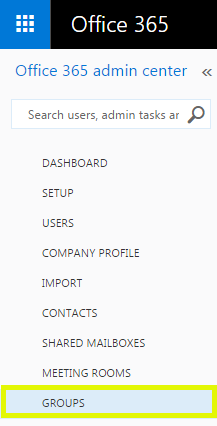 In the Office 365 admin center panel, click Groups. In the Groups panel, check the box next to the group you want to add delegates to. In the right panel, under Distribution list, click Edit Exchange properties. 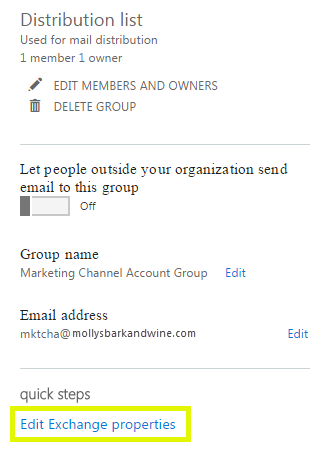 This allows a member of the group to send email as the distribution group address. To a recipient, the From line will display the group name only. This allows a member of the group to send email on behalf of the group. To a recipient, the From line will display the sender "on behalf of" the group. 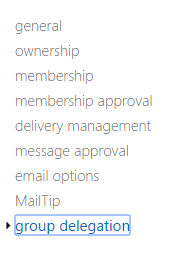 Note: To send as the distribution group, you need to show the From field in your email composer. To show the From field in Outlook, open a new email, click Options, and select From. Absolutely crazy default in contact list!!!! !